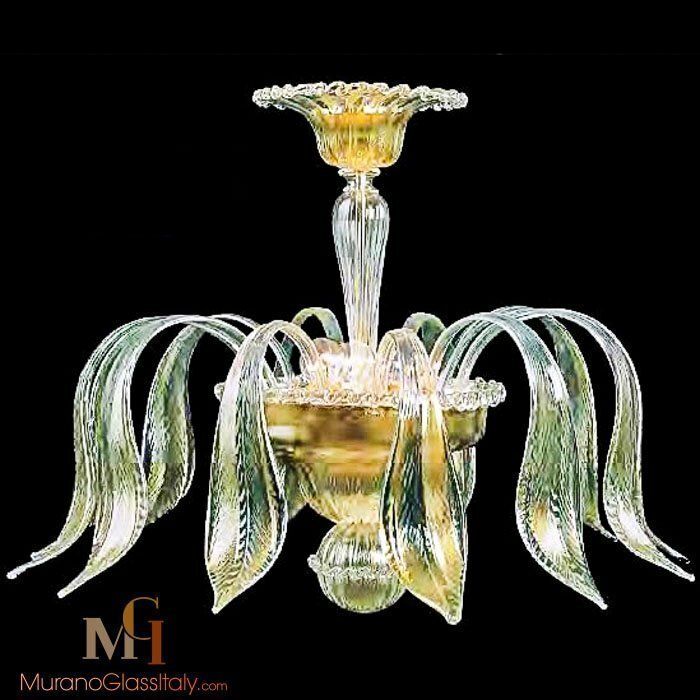 When someone talks about Italian chandelier style or Venetian chandelier style, the person usually refers to glass chandeliers made in the island of Murano, Italy. The particularity of these chandeliers are that they are hand blown and made according to the 700 years of glass blowing tradition in Murano. 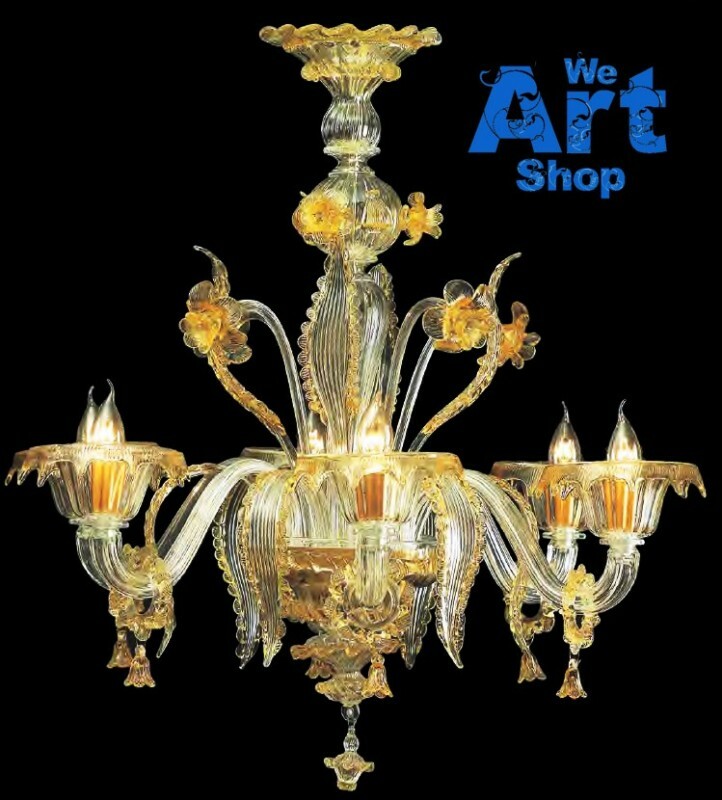 These Murano glass chandeliers embody the perfect alliance of Italian art and beauty, as expressed by glass artists who have attained complete mastery of their craft. These luxurious artworks can be infused with gold or silver and can be made in any size and color. 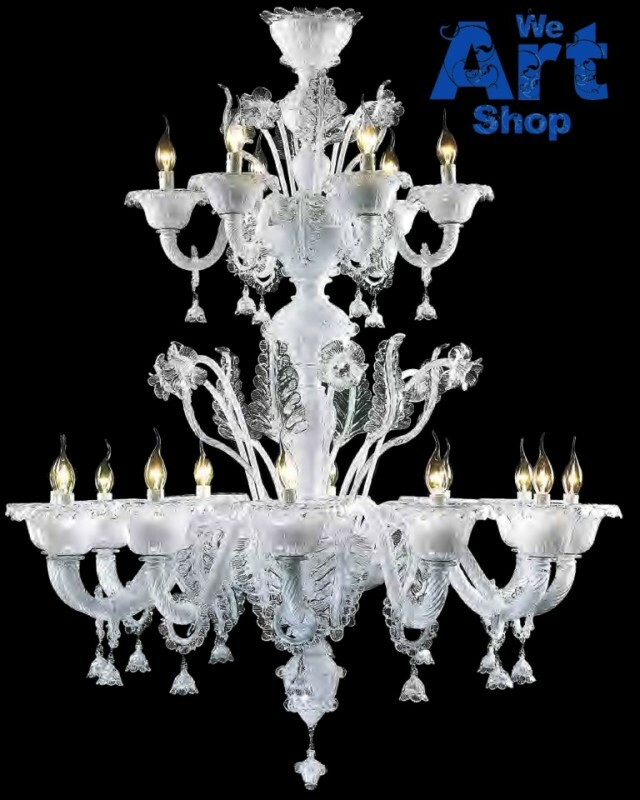 The Classic Venetian Glass Chandelier style is usually the one seen in Hollywood movies. These chandeliers usually consist of 18 lights or more (the bigger the more impressive) and are infused with gold or silver (to add a touch of luxury). The Murano Glass Candle Chandelier style is a classical style, which can get a modern interpretation (as displayed in the picture). Unorthodox design and color combinations give a modern feel to the glass candle chandelier for the modern and luxurious living. The Murano Glass Shade Chandelier style is a classical style, which can get a modern interpretation by changing the color of the glass and shade (as displayed in the picture). For a classical look add sheer shade to a simple crystal chandelier to create a beautiful layered look. The Murano Glass Flower Chandelier style is a classical style with a touch of romance thanks to its beautifully designed delicate flowers. The great attention to details and the romantic nature make these chandeliers an ideal addition to master bedroom or boudoir. The Murano Glass Leaf Chandelier style is a classical style characterized by delicate leaf cravings. When the beautifully diffused light shines through a cluster of cast glass leaves, the chandelier adds a subtle touch of luxury to the entryways and hallways. We would like to invite you browsing through our online collection and discover a fine selection of real Murano glass masterpieces. Please note, that all the artworks that are displayed above are part of our collection.